I had the opportunity to attend the NHL All-Star festivities in Montreal last year and it was one of the best experiences of my life. Born and bred in southern California, I can honestly say I have never felt cold like that in my life. The freezing temperatures coupled with the whipping wind put a beat down on me, but there was one thing that did warm me up: the amazing people I met throughout the week who displayed an unprecedented passion for hockey. 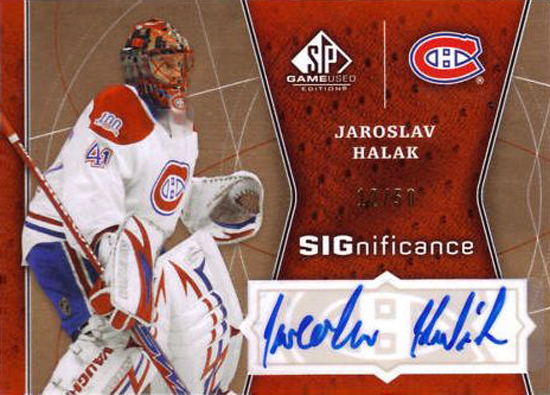 We were staged adjacent to the Centre Bell hosting free athlete signings for NHL fans, allowing collectors to get personalized Upper Deck cards made and giving away a variety of products. It was an absolute madhouse. To make things even crazier, the All-Stars were walking right through the area on a red carpet. 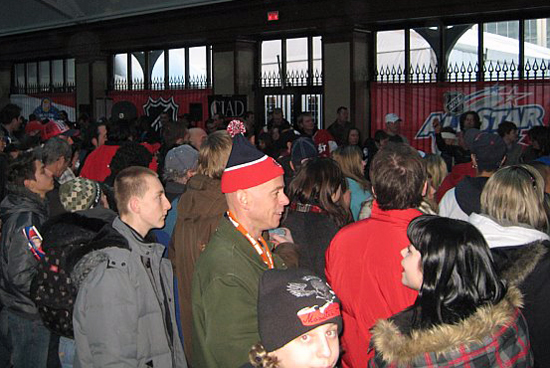 Montreal locals and NHL fans were lined up ten people deep just to get a glimpse of their favorite players. The player who got the biggest reception of all was Carey Price. The promising rookie drew huge cheers when he walked through and chants of “Carey, Carey, Carey,” echoed throughout the venue. I can’t imagine what would have happened if Jaroslav Halak would have walked through that same crowd after what he did in the first round of this year’s playoffs. He would have been celebrated like a rock star and returning war hero all rolled into one. I can only imagine what it was like in Montreal last night, but I am sure of one thing: plenty of Canadiens fans showed up late for work today. It was rumored throughout the season that Halak wanted a trade because he felt he was worthy of being the No. 1 netminder and wasn’t crazy about splitting time with Carey Price, who the Habs were trying to develop. Very few could have predicted what would happen when Halak took the ice in games 5, 6 and 7 of this month’s series against the top-seeded and seemingly unstoppable Washington Capitals. He stopped 131 of the Capitals’ final 134 shots in the series and won three consecutive games. The Canadiens, meanwhile, became the first eighth-seeded club to knock off a top seed after going down three games to one. I’ve often said, “There is nothing better than playoff hockey.” The only thing that makes it better is playoff hockey in HD (high-definition). Olympic hockey is close, but great playoff hockey is really hard to beat. The last three games of this series prove my point as Halak was an absolute brick wall against a torrent of superstar shooters firing at him from every conceivable angle. Nobody wanted it more and nobody came at him harder than the league’s back-to-back Hart Trophy winner, Alexander Ovechkin. He was slashing through defenders like a hot knife through butter and hitting Halak with everything he had, but was continually denied. It was like watching Brad Pitt hitting on Ugly Betty and being repeatedly turned down. On three consecutive nights out. It just didn’t make sense. I remember watching Ovechkin at the All-Star festivities last year. Seeing him live, exhibiting so much other talent on the ice, really made me appreciate how much of a force he really is. 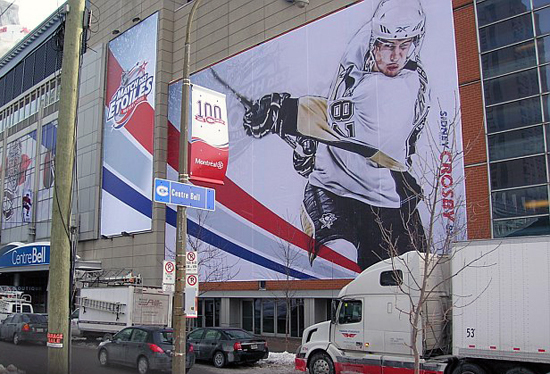 Strange that it was at the Centre Bell, Montreal’s home ice. 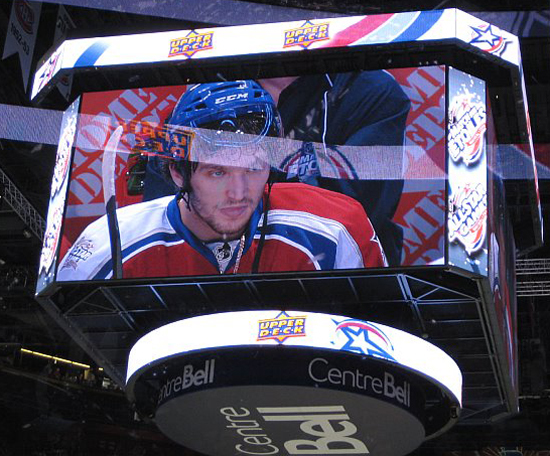 This shot makes it look like he can almost see what was coming from these rabid fans and the never say die Habs. A lot of people are saying that the Canadiens are not that good. I’ve heard some fans say, “How can a good team allow so many shots on goal?” Well the fun thing about the NHL playoffs is that a good team can ride a hot goalie all the way to the end. Remember the 2003 playoffs when Jean-Sebastien Giguere took the Ducks as a No. 7 seed on a Cinderella run to the Stanley Cup Finals? The Ducks lost, but because of Giguere’s efforts he took home the Conn Smythe Trophy as the playoff’s MVP. Halak himself may just be on a similar path. Now another superstar is set to hit Montreal for the next round of the playoffs. He’s a player who I remember seeing plastered on the outside of their arena last year for the NHL All-Star Game and one of the league’s brightest stars. Can David, I mean Halak, slay Goliath twice? You never know. 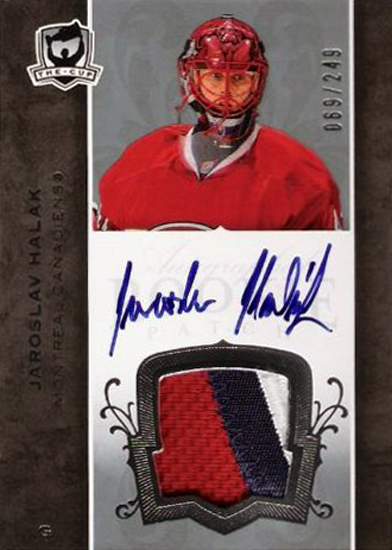 But one thing’s for sure: when the puck drops, everyone in Montreal will be holding their collective breath with hopes that Halak can deliver them to the Promised Land. 2018-19 Game Dated Moments Week 12 Cards are Now Available on Upper Deck e-Pack™! 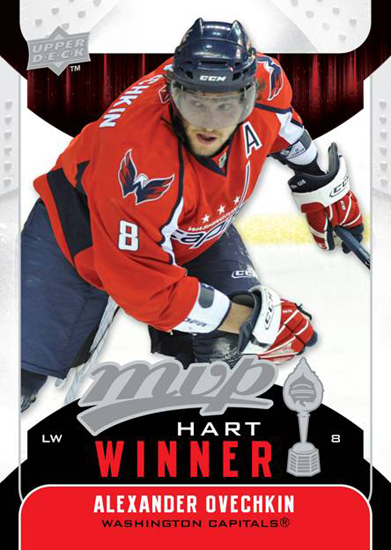 2018-19 Game Dated Moments Week 11 Cards are Now Available on Upper Deck e-Pack™!